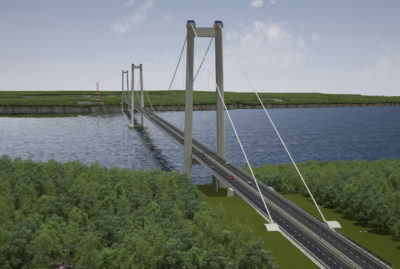 The new Svinesund Bridge is the new bridge connection on the E6 at the border between Norway and Sweden. It crosses the Iddefjord and has a navigation channel channel of 55 x 70 metres. 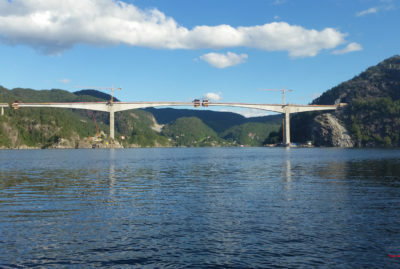 The bridge project was carried out as an Engineering, Procurement, and Construction (EPC) contract, and the bridge was opened as part of Norway’s centenary celebrating 100 years of independence. 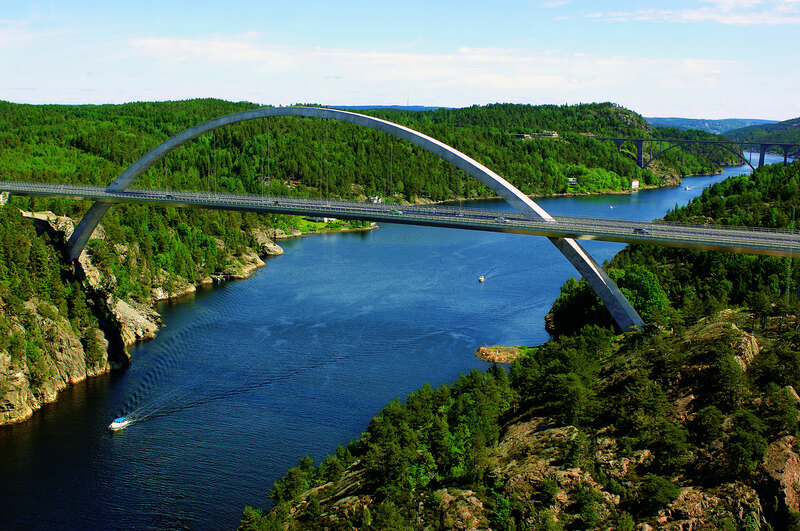 Aas-Jakobsen was the winner of the architectural competition for the bridge, along with the architects Lund&Slaatto. After being awarded the project, Aas-Jakobsen delivered the detailed preliminary project and basis for the EPC contract. 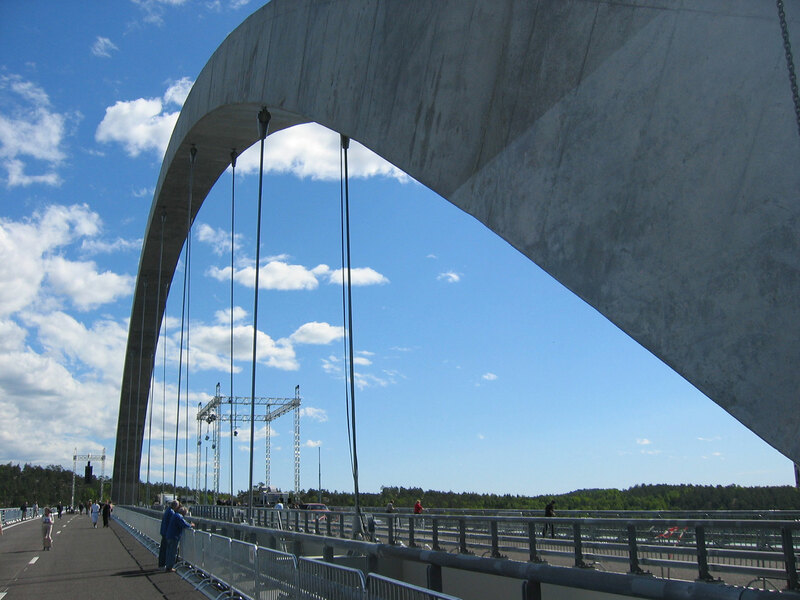 The main bridge consists of a slim, central concrete arch with a span of 247 metres, with a cantilevered steel deck on either side, and a typical span of 26 metres, suspended by stays extending up to the arch. 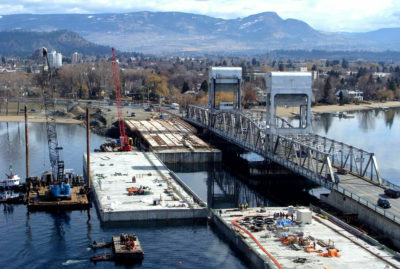 The viaducts consist of centrally located columns and double steel decks on either side, with a typical span of 75 metres. 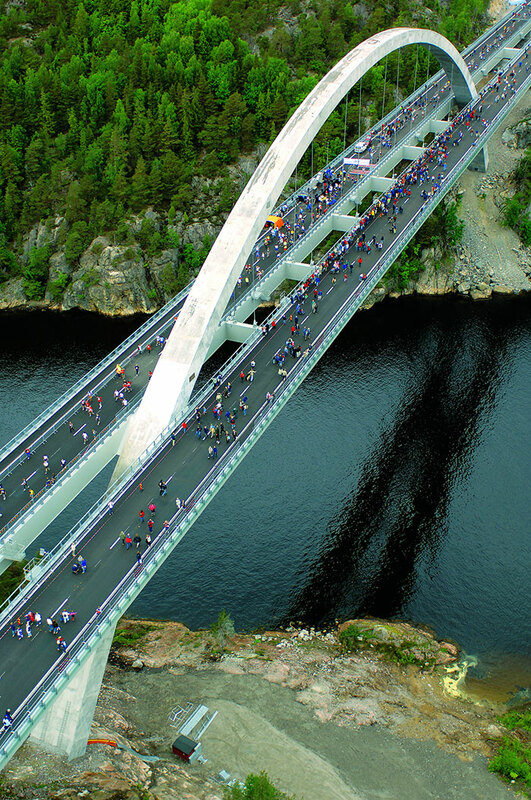 The total length of the bridge is 704 metres. The new Svinesund Bridge has become an iconic structure which has received great acclaim for its bold design and adaptation to the landscape and bridge location. Building cost ca. 500 MNOK.